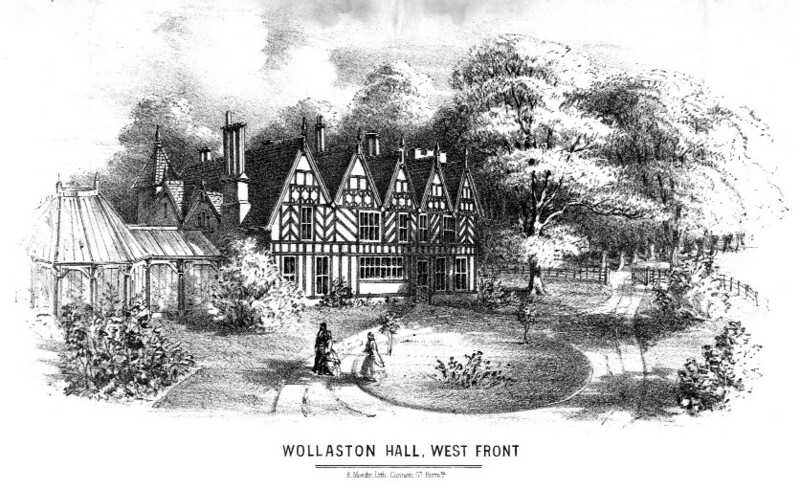 This second view of the lodge, gates and avenue at Wollaston Hall was clearly taken in the winter. The leafless trees reveal more of the lodge, which appears to have had precariously tall chimneys. Slightly more of the Hall can also be seen at the end of the avenue, whilst at right a paling fence has been erected.